Miami, FL, – Urban singer PIBE recently had a successful media tour in Miami promoting the first single “Donde Es la Fiesta” from his third album “PIBE” which was recently released globally on all digital platforms. In his first media tour of Miami, just 3 months after a kidney transplant operation due to chronic renal failure – a health condition that the has suffered from childhood – in a feat not seen before, the Mexican singer visited all media networks, from Univision radio and other major radio station networks, TV stations and networks like America TV, Telemundo, Mega TV and Univision, plus countless press interviews. PIBE, born in Guadalajara Mexico, released his first album in 2009, “El Rey del Retro”, quickly placing his music in the Top Ten of Mexico as confirmed by music magazine Monitor Latino. Two years later, he released his second album, “Por Que Nos Dijimos Adios”, and re-entered the Mexican Top Ten. 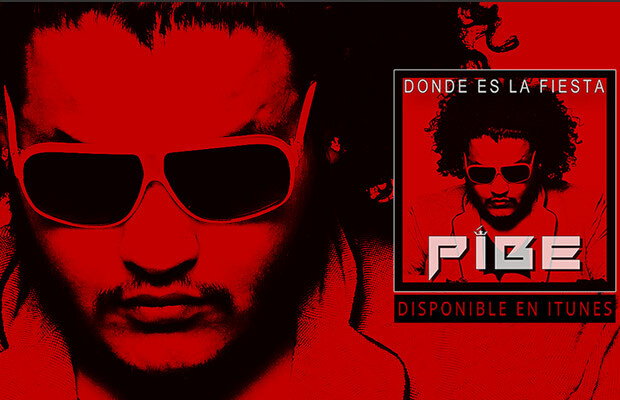 Today with his latest album, “PIBE”, he is hitting stronger on the charts of major radio stations in Mexico. Behind PIBE’s hits are renowned music producers of the like of Loris Cerone (Paty Cantu, OV7, María José), Sam FISH Fisher (Daddy Yankee, Celia Cruz, Vico C) and Jorge Arronte. The urban singer will continue his media tour on September in Miami, following the tour in New York and Los Angeles, California where it is expected that the single “Donde Es la Fiesta” continues conquering the Latin market that already has placed it in the top 20 of the most important DJ Record Pools and where his entry in the prestigious Billboard magazine is expected.